Lite: “A simpler version, or subset, of something (especially software), in which complexity is forgone for the sake of easier application (or modified application); for example: Nintendo DS lite” Wikipedia. I have a “problem” I am a flat iron & heat tools junkie and that is unlikely to change, unless I make an effort, but change is difficult; so I propose a Lite Heat Free Challenge for the impatient Curly Girl. Care to join me? Then, read on! The longest I had managed to be relatively heat free, before doing this challenge was 5 months now I can say I have been almost heat free for almost an entire year. This is how I did it and maybe it can help as a guideline to create your own challenge. 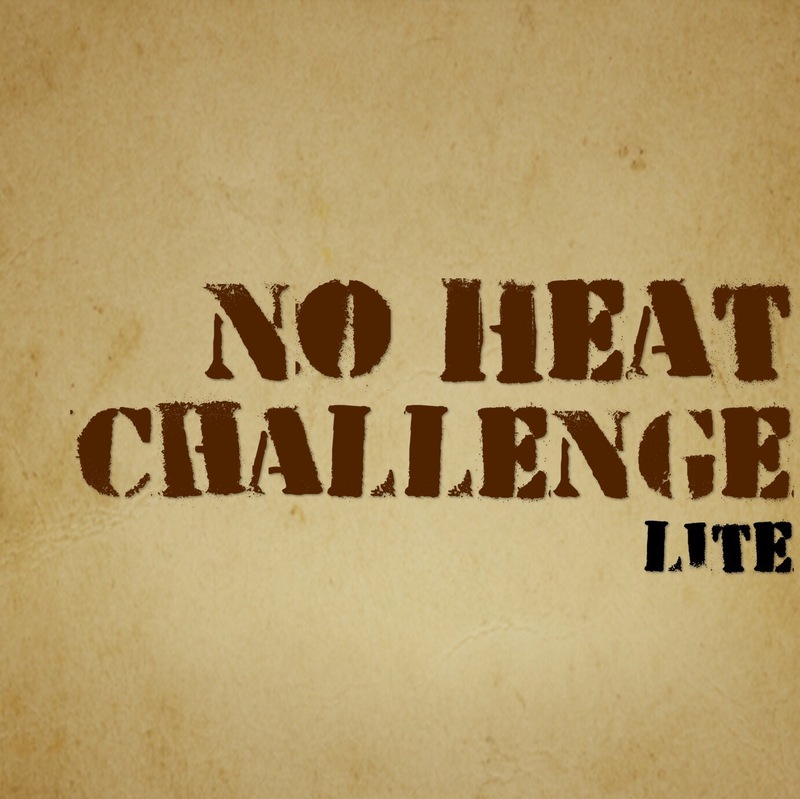 No Heat Lite Club: The idea is to have a small community of curlies who still use heat because we are still in the heat transition phase or because we like it, while still allowing for some freedom once the need for heat becomes too much. First rule of Lite Club: rules are relative, more than rules we have guidelines. Second Rule: The flat iron is forbidden, this one is the only guideline that must always be followed. Third Rule: If you get bored, feel tempted or need help finding styling ideas always ask for help, the club will always be there for you. Rule four: Have fun, try new things & share what works for you. Avoid the blow dryer except for diffusing. Diffusing allowances: Ideally always dry hair on cool, but low heat is allowed no more than once a week. Medium heat should not happen, but if it must then only once per month or it means reset of the “heat free calendar”. Start the “Heat Free Calendar” with a Complete Wash day Including all your important steps like pre poo, shampoo, deep conditioning and your preferred heat free styling method, mine is the wash and go. If your own a hooded dryer then try it out on the lowest possible setting, no more than once a week, if you don’t own one like me maybe we can find a good one together. Hot Rollers are allowed but only once a month and the drying and stretching should be done heat free. Blow drying + hot rollers also resets the calendar so choose this option wisely. Flexirods, perm rods, magnetic & foam rollers are your friends. Always protect your hair at night. Do a Wash Day only when you have time, for example on your days off ideally when you don´t need to leave the house. If you don’t have time try and refresh only or “put it in a bun” or “wrap it up”. Have Fun and try your best. We promise we wont judge! Let’s see if this Heat tools Junkie can survive six month without the Flat iron, join me and we can motivate and teach each other new tricks to stray true to the Curly life!…I can tell you now that I did survive 6 months & beyond without flat ironing my hair and I think my curks have improved quite a lot since the beginning of the curl journey, with it’s most dramatic transformation happening after I gave up direct heat. Today is September 1st 2017 and I have not used a flat iron since September 2016, the 1st few months of the challenge were difficult because old habits die hard, but I found a very supportive group of curl friends to do it with. I followed the “flexible rules” for the 6 months of the challenge, in July I reintroduced medium heat because I needed to dry my hair faster and because I started playing with my texture to create big hair routines and it does not seem to be a problem for my curls, I will post in the future how I dry my hair using a diffuser but in the meantime you can follow my progress on instagram here on The Hair Lab and feel free to use the hashtag #noheatlitechallenge so I can follow your curly hair journey too!